One of the teens charged with beating to death a World War II veteran allegedly claimed he was buying crack cocaine from the 88-year-old and the transaction turned violent — but cops said there is no evidence to support that. The allegation was denounced as bizarre by victim Delbert “Shorty” Belton’s family and even dismissed by the defense lawyer for the other teen accused in the Spokane, Wash., case, which has drawn national attention. Demetruis Glenn, 16, listens to his lawyer, Christian J. Phelps, before a first appearance in District Court in Spokane, Wash., on Monday. “That’s a bunch of crock,” daughter-in-law Barbara Belton told NBC News on Tuesday afternoon after suspect Kenan Adams-Kinard made his first court appearance to be charged with first-degree murder and first-degree robbery. “He was a little senile, a little eccentric, but he was not into drugs,” she said, accusing the teen of concocting a self-serving story that would make the victim seem less sympathetic. Adams-Kinard and Demetruis Glenn, both 16, are accused of attacking Belton when he resisted a robbery attempt in the parking lot outside his Fraternal Order of Eagles lodge last Wednesday night. Both were charged as adults. The teens, who have previous convictions for assault, were caught on security cameras in the area at the time of the slaying, but Glenn’s lawyer said there are no eyewitnesses or forensic evidence tying them to the crime. An affidavit from prosecutors says that while he was on the run for four days, Adams-Kinard told two friends that the beating was the result of a drug deal gone bad. Police seized a letter signed with Adams-Kinard’s name that gave a similar account. “I took his wallet and another ounce of crack from his pockets,” the letter said, according to the court document. “He was unconscious so I made sure he was still breathing, and then I took off." 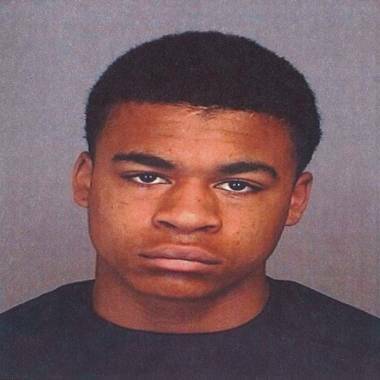 The letter was purportedly an explanation the teen was writing to his mother, police said. 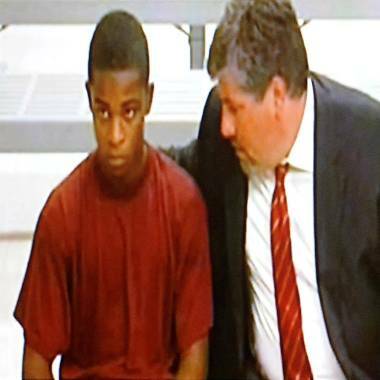 Kenan Adams-Kinard, 16, will make his first court appearance Tuesday in the beating death of 88-year-old World War II vet Delbert Belton. Even Glenn’s lawyer, Christian Phelps, said he was highly skeptical of the claim, which was disclosed during Adams-Kinard’s court appearance on Tuesday. Phelps also claimed "there are no eyewitnesses and no forensic evidence that links either of the kids to the crime." 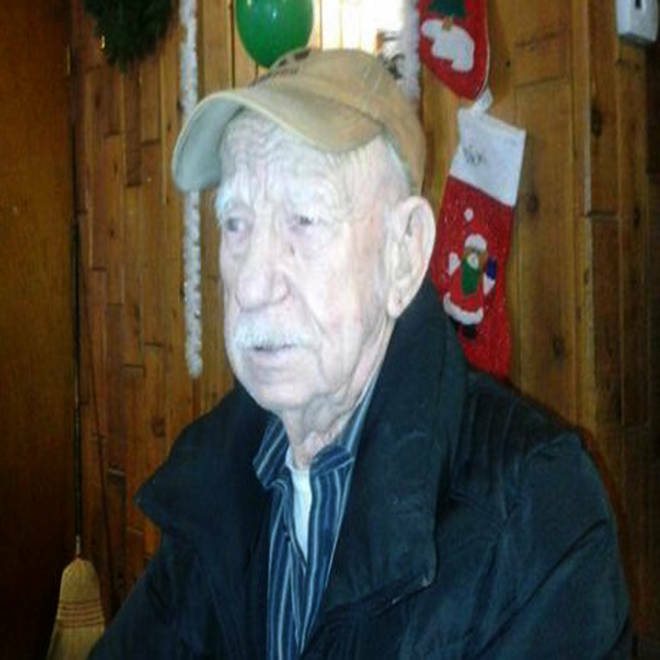 Belton, who survived being shot in the Battle of Okinawa, was a widowed retiree who liked to dance and play pool at the lodge, according to friends. His death has made headlines because of his age and war heroism. While some commentators have seized on the fact that the suspects were black and the victim was white, police have said race played no role. "A lot of folks just want to throw these kids away and the key — or worse,” Phelps said. "I would urge people to wait for the facts to develop." "Mr. Belton's actions were both appropriate and justified," he said.